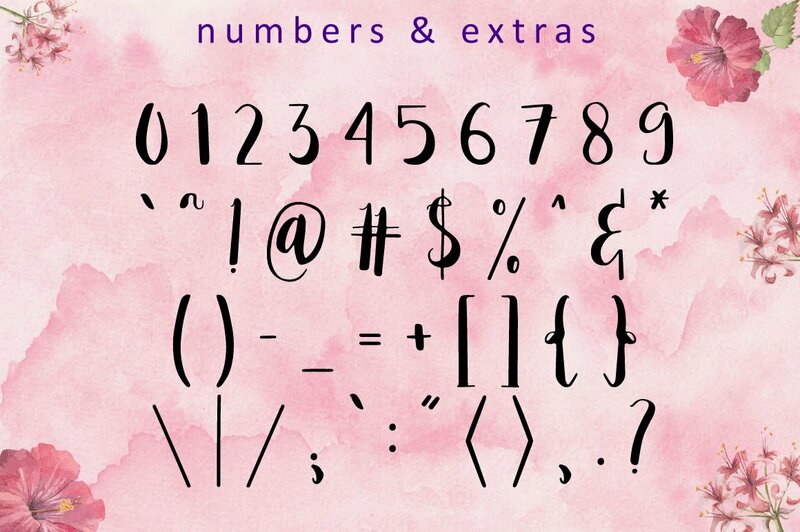 Princess Ivy is a beautiful and elegant font. 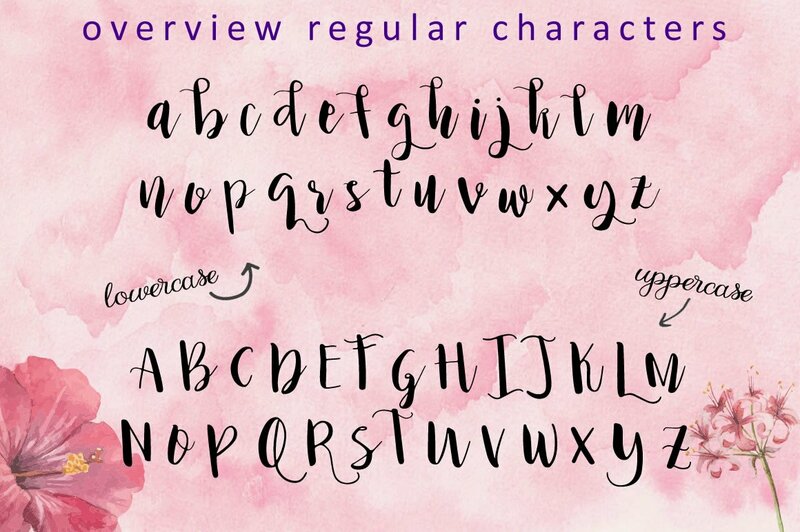 Every letter of Princess Ivy is painted by hand with a small brush, digitally scanned and optimized until perfection. 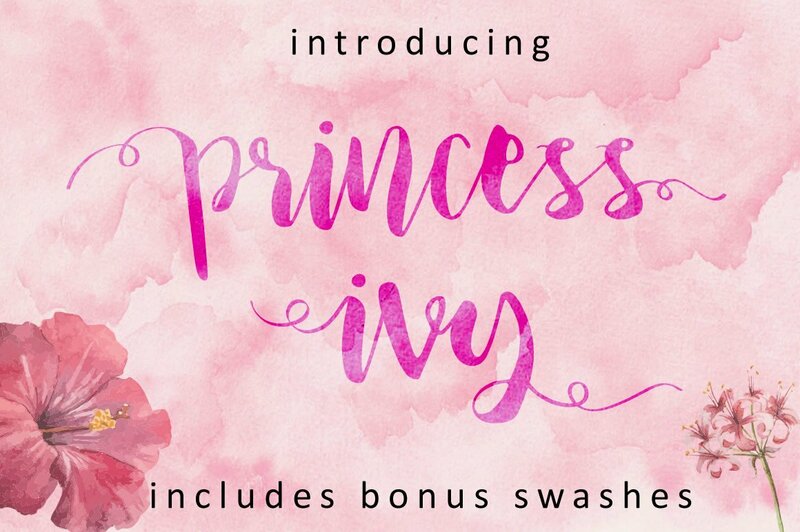 Princess Ivy is a strong and independent font that has many purposes. 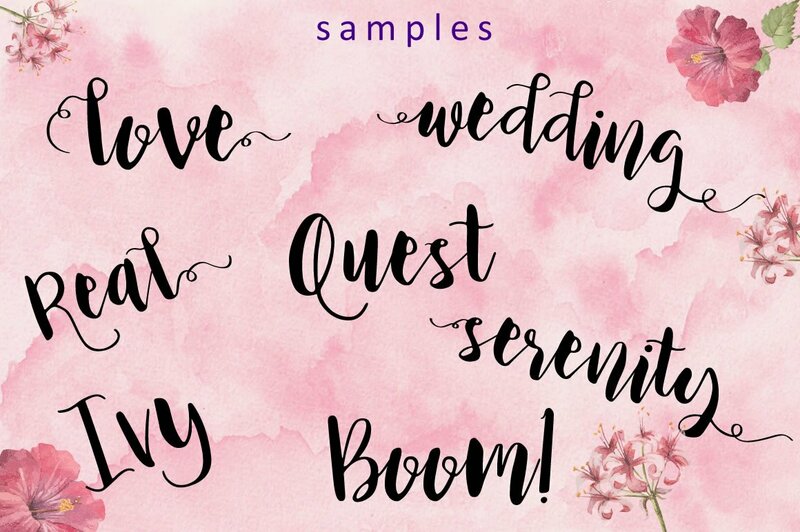 The font looks great and elegant on invites and thank you notes, tough and strong on beautiful (wooden) signs and easy to read for when adding decorative texts to any object, digital or physical.